Touch the "New Fleet" button. Touch "Cancel" when prompted to swipe a credit card. On the Fleet Data Entry screen, enter the necessary driver information. (1) In this example, we have entered the Company Name, Truck Number, and Odometer Reading. The required information will vary depending on the driver. (1) Touch the Dispenser number the customer is going to use. (2) Use the toggle button to select "DEF"
(1) In this example, we have entered the Company Name, Truck Number and Odometer Reading. The required information will vary depending on driver. Note: If the driver wants all three types of fuel, the second dispenser for reefer would need to be authorized under second dispenser. You will see a message confirming that the dispenser in now authorized. The driver can now dispense fuel. 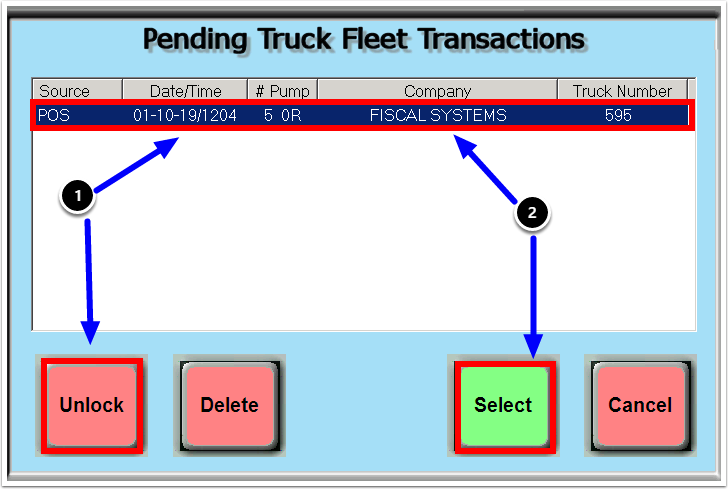 Once the driver has finished fueling, you will need to find the transaction in the list of pending fleet transactions. Touch the Pending Fleet button to pull up the list. (1) Select the Transaction and click Unlock. (2) Once Unlocked re-select the transaction and click Select. 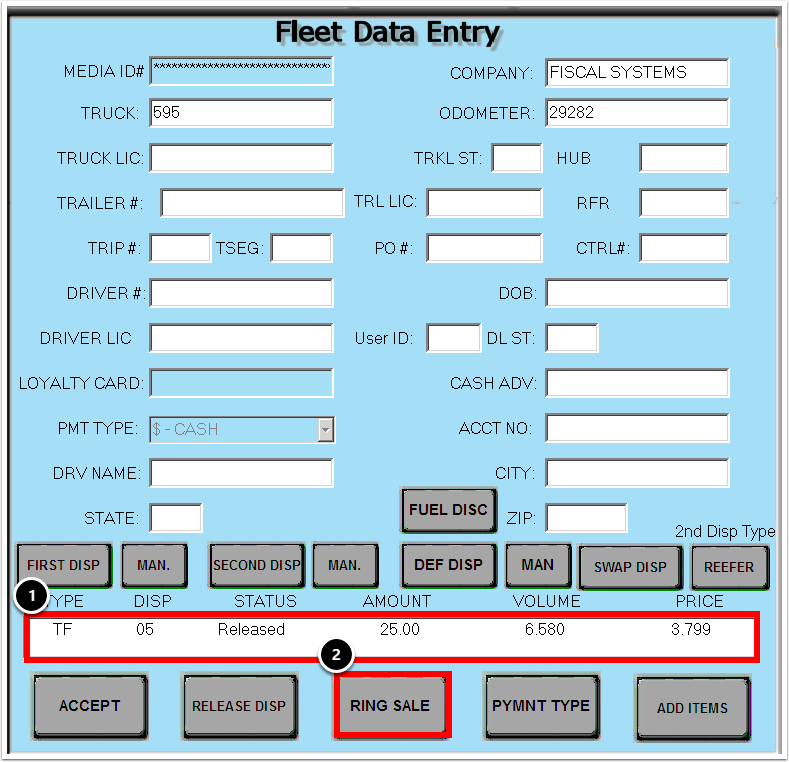 (1) In the Fleet Data Entry Menu verify the dispensed fuel information then click Ring Sale. (2) The Diesel sale will then be sent to the register. You are now ready to set up the DEF as a separate transaction. 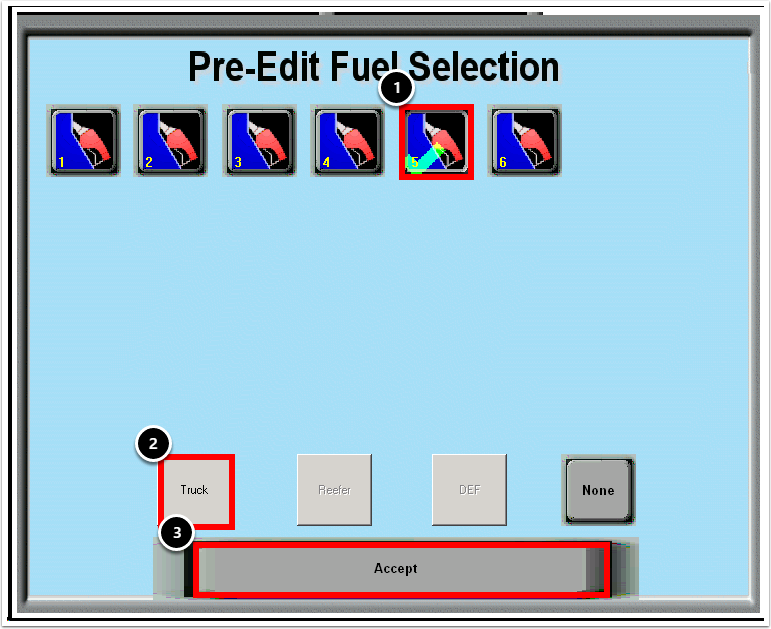 The following part of this lesson is for merging Diesel and DEF transactions together on the register when DEF is being dispensed from a DEF only Pump and the DEF transaction is not being set up through the Fleet Menu. When the driver is finished dispensing the separate DEF transaction you will (1) select the DEF pump with the flashing $ sign then (2) click Ring Gas Sale. This will merge the DEF transaction together with the Diesel transaction on your register. Press the Tender method that was used to start of the transaction. 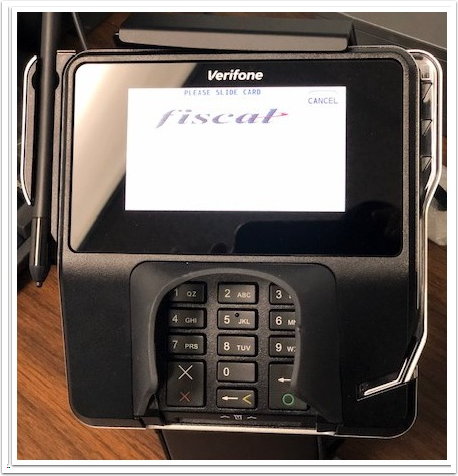 For example, if Credit was the method tendered you would Touch the Credit button and have customer either swipe or insert their card into the MX 915 (EMV) Pinpad Card Reader Slot. Once the card is inserted into the MX915 Pinpad Slot. Credit, Debit, EBT buttons will be displayed on the MX 915 pinpad. 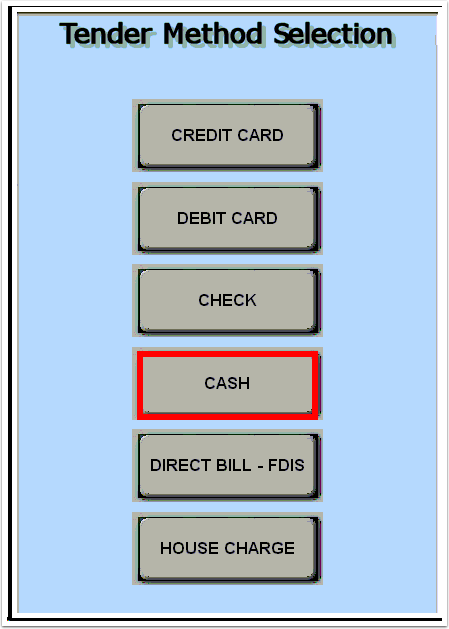 For Credit transaction, the "Select Credit" message on the MX 915 Pinpad will be displayed. Press YES if amount is correct. 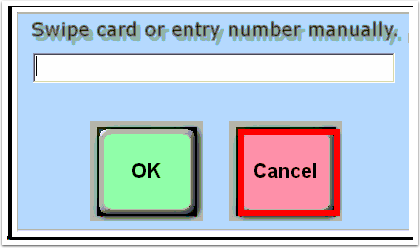 If a PIN is required, a message Please enter your PIN will be displayed. Enter PIN, and press Enter. 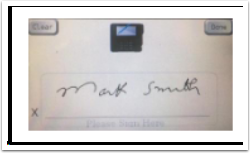 The Register will display a System Message that the transaction information is being sent to the credit card processor. 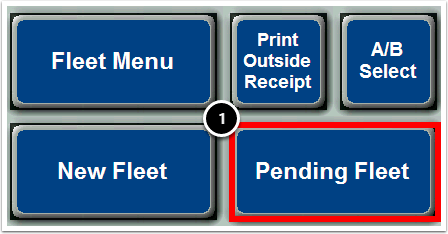 Once the transaction is approved a large TFT receipt will print for the customer. Prev: How do I Move a Prepay on a Dispenser that was Accidentally Prepaid to the Wrong Pump? Next: How Do I Setup and Process a TFT with Tractor Fuel Only?